If you are looking for a solution to Bypass Google FRP Vivo V9, then check this solution to Vivo 1723 FRP Bypass from here. is your device is stuck on google account verification screen and you want to Bypass Google FRP Vivo V9 to access your device home screen then follow this tutorial to successfully Vivo 1723 FRP Bypass. to successfully bypass your Vivo V9 you need download few things and a working wifi connection. If you hard reset your device it will ask you to verify your previously synced Gmail id to verify device owner. then if you forget the Gmail ID and the password then you need to Bypass Google FRP Vivo V9 to access your device home screen again. We try this method on Vivo V9 (1723), also work on other Vivo V9 series devices easily. To Bypass Google FRP Vivo V9 you need to download some files and a working wifi connection. files links are below. Vivo has updated all the security patch level, Vivo has fixed all the old bypassing method. and now we find a new way to Vivo 1723 FRP Bypass. follow the below process fully carefully to Bypass Google FRP Vivo V9. -After that, tap next and then connect your device to a working wifi connection. -Once done, set up your device to go to ” Verify Google Account” Screen. -Then click on “Email or Phone” dialog box. -Now “TouchPal Keypad” will appear. -After that, tap on the “t-shirt Icon” from the right corner of your Vivo V9 keyboard. -Now, tap on the “menu button” from the top left corner of your Vivo V9. -Then tap on the “settings”. -After that, tap on the “bug report”. -Then sign in with your any valid “Outlook/Yahoo/ or any other mail services”. -After that, go back again in the “help and support” section. -Once again, tap on the “bug report”. -Once again open the “mail” from there. -After that, you will land a write mail section an then type there “bypassfrpfiles”. -After that, long press on tap typed “bypassfrpfiles” text. -Then again a popup box will appear. -Congrats, now you have successfully access google chrome browser from there. its helps us to Bypass Google FRP Vivo V9, now you have only a few steps left to Vivo 1723 FRP bypass successfully. -Now select “Web search” from there. -After that, tap on the “enter now” button. -Then on the google search results, select the top website from there. -Now download from there “Apex launcher.apk”. -Once downloaded, now time to install the apex launcher from there. -Tap open button from the “downloaded apex launcher” notification. -Then again a popup box will appear again. -Now select and tap “settings” icon from there. -After that, enable the “unknown sources” option from there. -Then go back to the “Chrome Browser” again. -Now download the apex launcher again. -wait for finish download the apex launcher. -Once finish then tap the open button and then install the “apex launcher” from there by tapping next->next->open. -Then you will access your device home screen. -Congrats, now you have successfully access the home screen of your Vivo V9. that’s mean you have completed 70% to Bypass Google FRP Vivo V9 now you have only a few steps remaining to successfully Vivo 1723 FRP Bypass. -Now only you need to Bypass Google FRP Vivo V9 . just follow this final steps. -After that, go to your device “home screen” then open the “browser” again and visit the “Gadgetsdr.com FRP files download page” and download from there google account manager6.0.apk. -Once finish then tap on the “open” button from there and then install the “Google Account Manager” from there. -After the installing finish there click on the “done” button. -Now you have to download one more file from there to successfully Bypass FRP Google Vivo V9. -After that, install the “FRP Bypass.apk” from there. -Once installing finish, then click on the “open” button from there. -Then tap on “3 dots” from the top right corner of your Vivo V9. -Now tap on the “browser sign in” Button. -After that, now sign in with your any valid Gmail ID. -Once signing in completed then go to the “settings>accounts & sync > to see you’re signed in Gmail id. -If you don’t see your Gmail id from there then follow this method again. 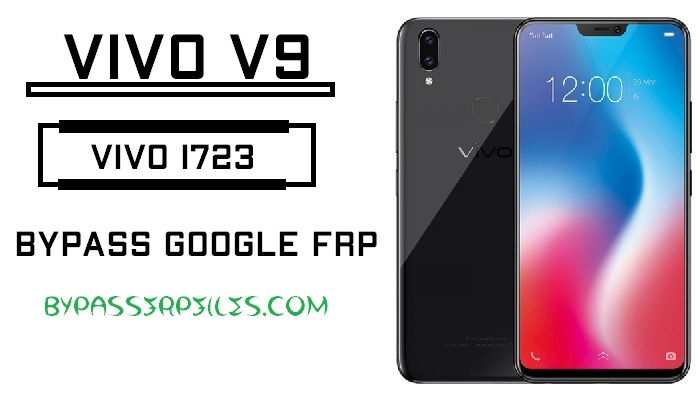 Thanks for visiting us, if i help you to Bypass Google FRP Vivo V9 (Vivo 1723 FRP Bypass) then share with your friends, or if you face any problems with this then simply comments us below you will solve the problem as early as possible.